9/6/2012 Churston during the Dartmouth Steam Railway Heritage Event. Clearly a Jeep, VFF 182 is now the registration. 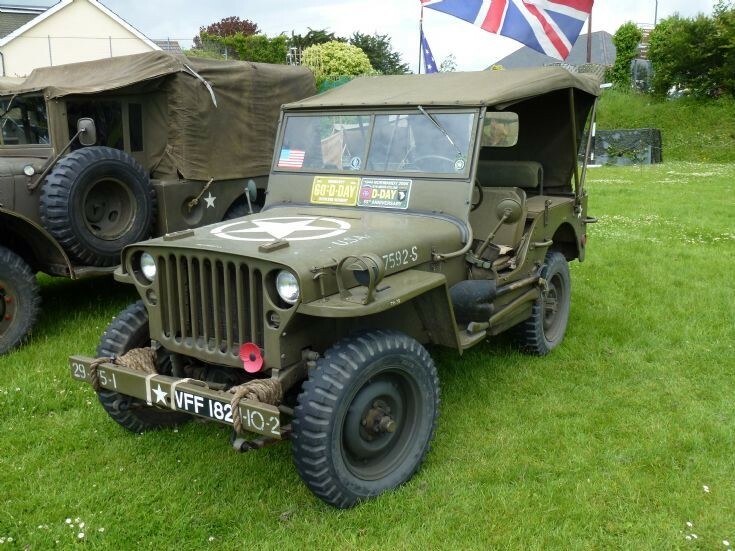 I know these guys take part in re-enactments but is this old enough to have taken part in D-Day as it is sporting 2 badges recalling it? Probably not. Most of these beasties took a terrible knocking in service and were only fit for the scrappies afterward. You can only be certain by looking at the census plate. Added by Roger Greenaway on 24 June 2012. Added by Sam on 10 July 2012.